Did you know that in the U.S., 17.6 million people suffer from alcohol use disorder or AUD? However, sadly, only a fraction of those Americans seek assistance from a professional with their alcohol addiction. You should not allow yourself to become part of that statistic if you suspect you suffer from AUD. Many of them don’t believe that they have a problem or they think that they’re only alcohol users rather than alcohol abusers. Even when it comes to the most severe cases of AUD or alcohol addiction, most AUD sufferers can recover from some type of treatment for their condition. To do so, alcohol addicts need to find a good detoxification and rehabilitation facility that offers a complete programme. The said alcohol rehab facility should also use methods that will help a person smoothly transition to sobriety once rehabilitation is over. 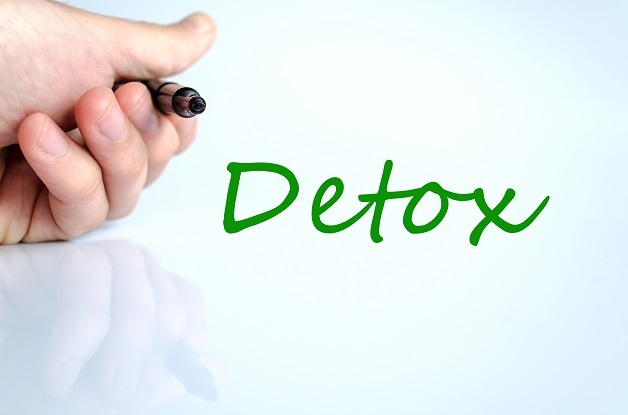 Detoxification is part of alcohol rehabilitation treatment but it isn’t the treatment itself. 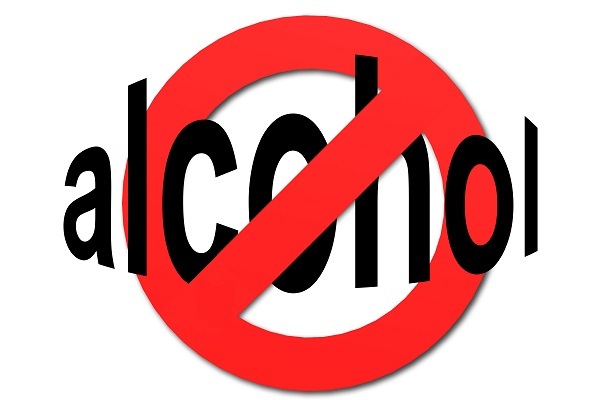 It’s instead the first step all AUD sufferers need to undergo in order to become sober and independent from alcohol. Your body will also start detoxifying itself of alcohol after you stop drinking. Let us now discuss several facts about detoxification. Detoxification Happens All the Time: Humans detox all the time in between drinking sessions, but alcohol addicts tend to replenish their body of alcohol before it gets flushed out completely. 6 Hours After the Last Drink: For the full-blown alcohol addicts who have been hard drinkers for a lengthy period of time, detoxification happens within 6 hours of the last drink. Heavy Drinkers and Withdrawal Symptoms: Heavy drinkers will have issues with particularly strong detox withdrawal symptoms. Case-by-Case Basis: How the body responds to detoxification can also depend on the constitution of the individual. The issue most alcohol addicts have with detox is that it comes with withdrawal symptoms. Some withdrawal symptoms are mild for some and serious for others depending on the severity of their AUD and their unique body composition. Do You Need a Detoxification Programme? If you’re an alcoholic or a sufferer of AUD, then you need to detox and get rehabilitated. If you need alcohol in order for you to feel normal, then you’ve got a problem. Getting through the detoxification process isn’t just something you need the right amount of willpower to do. There are some cases of drinkers where withdrawal symptoms can be life-threatening (more on this below). It’s still a big challenge for anyone to quit cold turkey when it comes to drinking, hence the need for affordable rehabilitation centres. These special programmes assist, support, and guide you through the withdrawal symptoms so that they won’t overwhelm you. The professional counsellors, nurses, and doctors of these rehabilitation centres might even prescribe you special medicine to ease these withdrawal symptoms altogether. Sometimes, an inpatient facility is called for when it comes to helping an alcohol addict in getting over their alcohol addiction because these places offer care for not only your medical needs but your mental health concerns as well. There are even some rehabilitation centres (not all) that offer dual diagnosis assistance to boot. When undergoing detox, you might experience symptoms of withdrawal. These effects happen because you’ve suddenly stopped taking alcohol and your body is having a hard time dealing with the sudden change. It takes a few days to acclimate yourself to such symptoms. Thankfully, the longer you’re sober the more the withdrawal symptoms will dissipate. The symptoms experienced dealing with alcohol detox can be as mild as nausea or a headache. 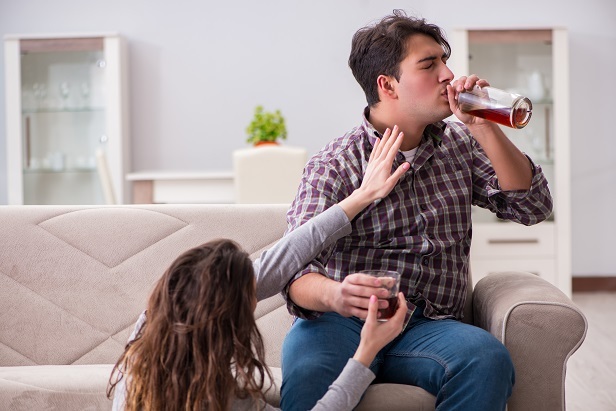 However, some alcohol addicts go through even more severe symptoms like delirium tremens (DT) that are marked by seizures or hallucinations (wherein things that aren’t really there are seen or heard). DT in particular can be a life-threatening issue wherein you feel on the edge with confusion. The most lingering symptom of withdrawal among all others across three phases is anxiety. This might leave you feeling uncomfortable in a psychological way. You might even second-guess yourself or end up tempted to give in and just get that drink anyway. This is why rehabilitation centres are critical for your sobriety. You have people around you in the form of fellow recovering alcohol addicts and professional counsellors to keep you away from those hard drinks. They will assist you as you attempt to deal with the overwhelming feelings swirling around you that are part psychological and part physiological dependence. The normal course of alcohol withdrawal typically consists of the following phases. The phases can be somewhat altered due to any underlying or co-occurring conditions. Acute Withdrawal: This period during detox is characterised by symptoms like seizure or DT, autonomic nervous system hyperactivity, and tremors. Following discontinued consumption of alcohol within a 48-hour timeframe, tremors and seizures will typically happen. They also tend to peak at around 24 hours at that. Meanwhile, delirium tremens are at their strongest within 72 hours before petering out. In regards to the physiological symptoms of acute alcohol withdrawal, you can expect gastrointestinal problems like vomiting, nausea, body temperature dysregulation, diaphoresis or profuse sweating, increased blood pressure, and tachycardia or increased heart rate. If these symptoms were to persist, your healthcare professional should be alerted about it immediately. Early Abstinence: In the second phase of alcohol withdrawal during detox, expect more symptoms to occur. To be more specific, you will deal with a continuation of disturbed sleep patterns along with low mood and anxiety. The good news is that the acute physical symptoms described above have by now disappeared. You can expect your elevated anxiety to resolve within 3-6 weeks of alcohol abstinence. Take note that women tend to take a bit longer than men when it comes to going through this phase of detoxification development due to the physiological differences between sexes. Protracted Abstinence: This is the final phase of alcohol withdrawal symptoms while undergoing the detoxification process. It’s not as obvious that you have dysphoria and anxiety anymore at this point. Dysphoria is when you feel a profound state of dissatisfaction or unease from not being able to take in alcohol. Because dysphoria isn’t as obvious now as before, youai??i? ?re more likely to deal with alcohol cravings and relapse than in previous phases wherein your body is practically “screaming” for you to take a drink. However, you’re still antsy at this point. Insignificant things can trigger you to crave alcohol intake and undergo the risk of relapse. But you’re already at the threshold of sobriety regardless. Even though most of the acute physical symptoms have subsided or disappeared by the time the protracted abstinence phase occurs, you can get overwhelmed by the psychological toll of feeling anxious during alcohol abstinence and detoxification. This is a critical feeling that plays a significant factor in increasing your relapse risk. The anxiety also perpetuates substance abuse and alcohol use. The human body can only take so much alcohol consumption. In fact, skin usually gets red and tingly as an allergic reaction after taking in alcohol. Immoderate alcohol consumption can lead to a weaker immune system as well. This makes you more prone to simple diseases like the common colds, to more severe ones like influenza, pneumonia, and tuberculosis. Drinking alcohol reduces your appetite. This results in you consuming a nutritionally poor and inadequate diet when push comes to shove. Your body will naturally be nutritionally compromised as it enters the rehab centre in order to deal with your AUD, leading to difficulties due to the physical challenges of detoxification. In order to boost your overall health while undergoing detox, you’ll be given supplements like iron, folic acid, and Vitamin B1 supplements. You’ll also be tasked to drink broths and herbal teas to assist in keeping you hydrated. Barring that, you’ll be given cups of water with hydrating salts if you’re suffering from severe dehydration. The doctors and nurses overseeing your recovery and detox process can also prescribe medications to you. These medicines assist in decreasing your cravings for alcohol. Aside from focusing on the physical aspects of detox, its emotional impact shall also be dealt with. After you’ve been detoxified or cleansed of alcohol, rehabilitation should start in earnest. You will then attend meetings and group therapy in order to help overcome your alcohol addiction. These sessions assist in emotional healing, which requires psychological therapy and education. Rehab specifically targets the psychological effects of substance abuse and the residual physical effects of excessive drinking as well. Psychological and psychiatric therapy of AUD requires the counsellors in your rehab centre to help you identify the triggers that makes you turn to alcohol. From there, they’ll be devising healthier or more positive ways for you to cope with these triggers so that you can stop being dependent on the bottle. You can expect emotional effects when you stop drinking. The list includes fatigue, anxiety, depression, nightmares, and mood swings. To counteract the emotional toll of treating your alcohol addiction, you will be taught many methods of dealing with stress. There are some that involve meditation. There are others that take the more religious or spiritual path to assist you in finding emotional peace. Still other rehab centres concentrate more in family therapy, group therapy, and behavioural therapy (wherein your behaviour is analysed then intentionally altered. Everyone wants to know how long something will take then abandon the idea of waiting for it in favour of something else that delivers faster results. Therefore, many people are curious in regards to how long alcohol rehab takes exactly. Detoxification can help deal with a life or death situations. After all, it takes time for someone to become an addict (an addict gradually gets an altered brain structure from abuse of substances), so the same applies for treatment and recovery. How Long Does It Take? The detox process takes 7-10 days or a week to a little over a week. Meanwhile, the whole rehab program lasts for a minimum of 30 to 45 days or about a month to a month and a half. Alcohol Detox Takes Time: People have high standards when it comes to getting fast results. However, alcohol detoxification takes time. Regardless, addiction treatment takes even longer. Detox is just one of the first steps. There’s No Such Thing as a Quick Fix Rehab: It took time for an alcohol addict, to end up with AUD or alcoholic addiction. It will also take time to undo these tendencies and habits one has developed towards a condition of alcohol dependence. It’s normal for alcohol addicts to feel uneasy or anxious in regards to what to expect with alcohol rehabilitation and detoxification. Embarking on the path to sobriety isn’t easy but taking that first step makes all the difference. If you’ve been abusing alcohol for an extended period of time, you may have burned numerous bridges with family and friends. Those relationships require rebuilding brick by brick. Rehabilitation is also your chance to develop your people skills if you’re lacking with them. You will be taught practical techniques and strategies to avoid triggers and prevent relapse from happening. When you’re discharged from the detoxification phase of rehab, you remain at a high risk of relapse because the underlying problems that led you to AUD have not been addressed yet. In fact, the act of detoxification alone increases overdose mortality if the client doesn’t follow through from detox to substance use disorder treatment right after being discharged from the process. Instead of going to a medical facility to deal with alcohol detoxification alone, it’s better to visit a comprehensive alcohol rehabilitation centre that does that, alcohol addiction treatment, and aftercare in one package. A good rehab centre teaches you all about triggers and addictions so that you can consciously avoid things that could lead to your downfall and regression back to your alcoholic ways. Social habits might also be addressed and changed in order to assist you in rehabilitation. This naturally means you will be monitored even during secondary care to see if you’re following the advice of the centre when it comes to avoiding drinks entirely by abstinence. You will specifically be taught better habits to replace your former destructive behaviours to boot. In order to make sure your detoxification is worthwhile and you don’t undo everything you’ve suffered for through relapse, you need to work on how you treat social situations and peer pressure. You will specifically work on the development of positive social interactions in order to replace your time spent in drinking establishments or drinking in general. What you should specifically search for is a rehab that provides a continuum of care from start to finish. Contact us today at The Dawn Medical Rehab and Wellness in Thailand in order to get a free consultation for alcohol detoxification so that you can start your journey towards sobriety. The Dawn offers a holistic approach towards alcohol treatment along with a signature “Twin Pillars Approach” that balances wellness with rehabilitation. The Dawn also has cutting-edge equipment, professional counsellors and doctors, luxury accommodation, a myriad of treatment options, and a secondary care programme available along with detox services. Call us toll free to avail of our complete programme that offers detoxification, rehabilitation, and aftercare in the hands of our highly qualified clinical team.